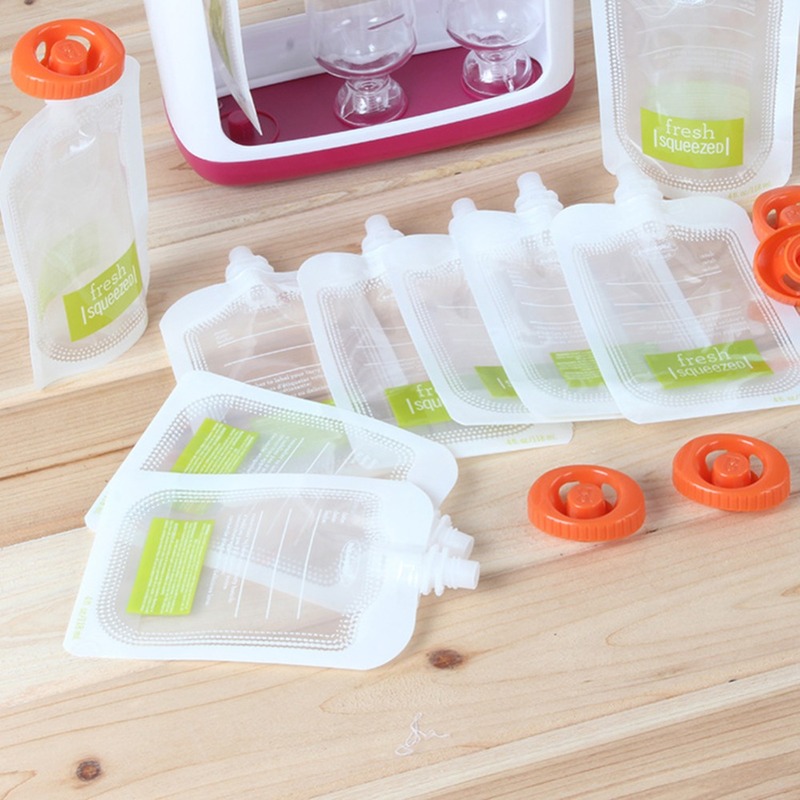 Make and store your own convenient food pouches with the Infantino Squeeze Station. It’s quick and easy. 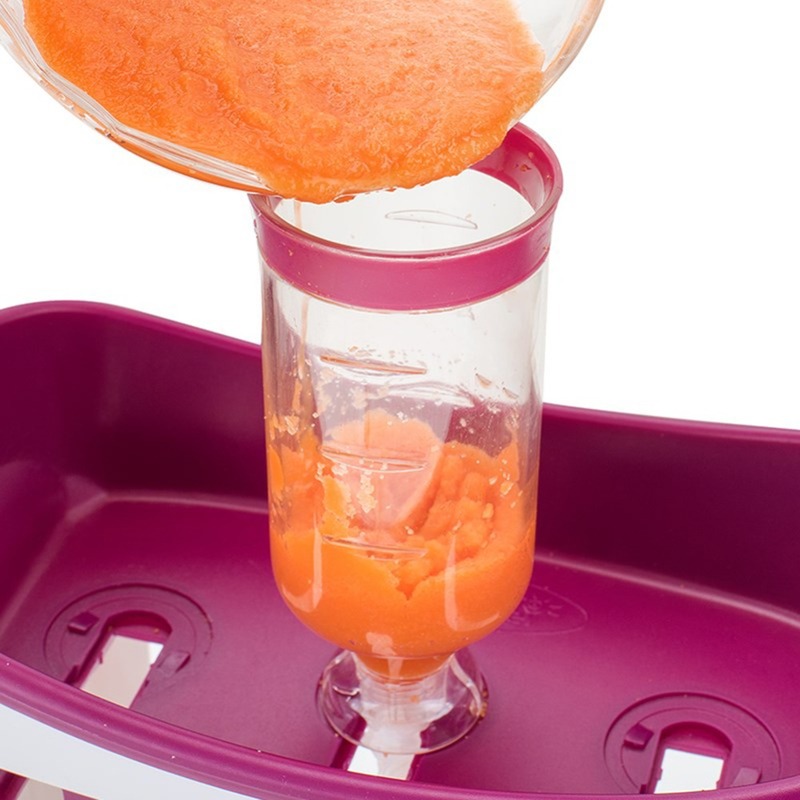 Just pour in the puree and press down to fill. 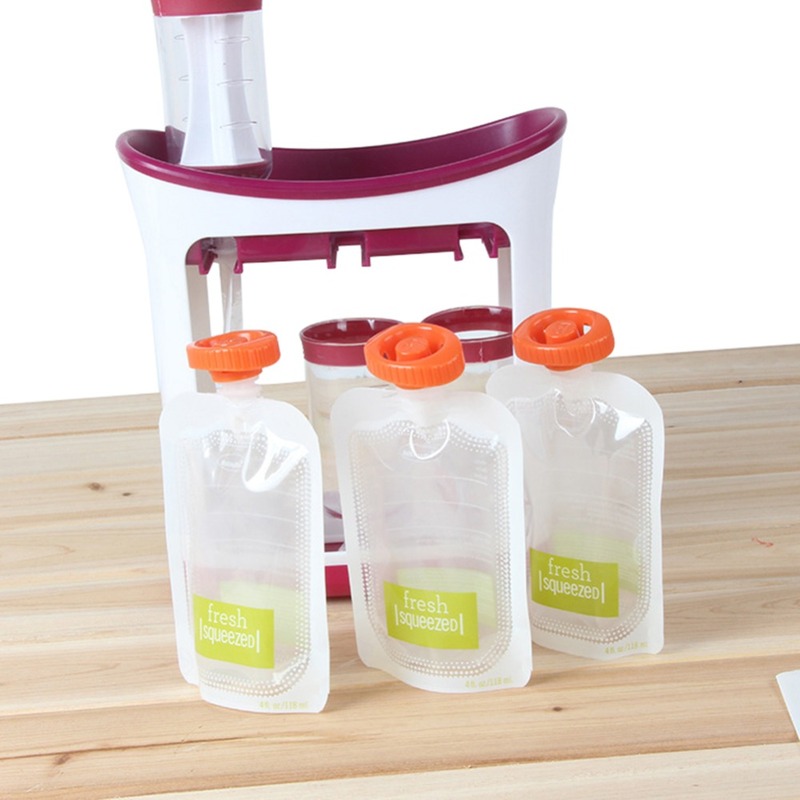 Perfect for homemade baby food and smoothies as well as store-bought apple sauce, yogurt and purees. 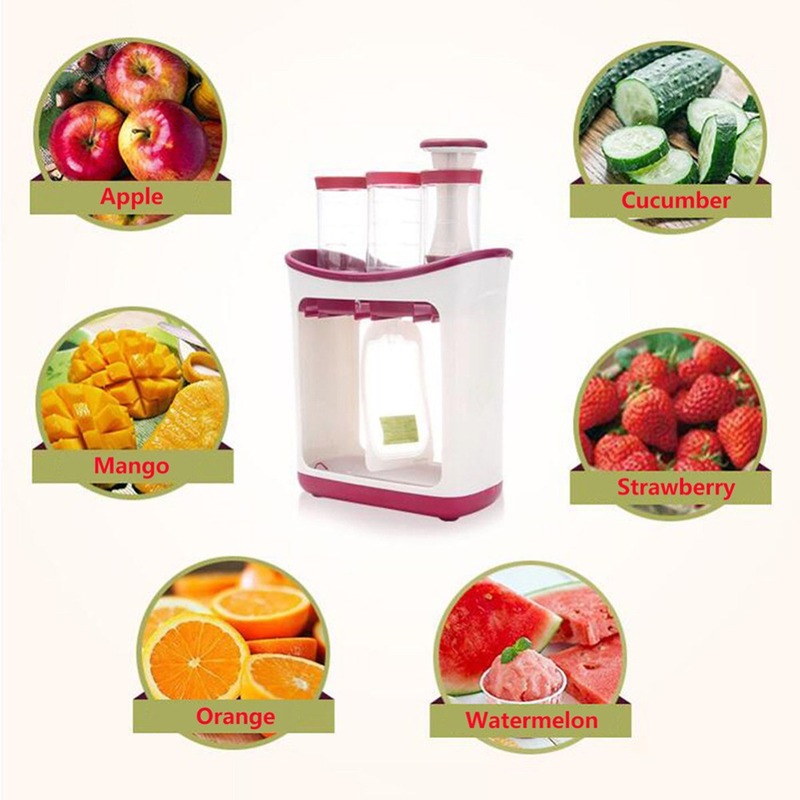 Enjoy now or store in the refrigerator or freezer for later. 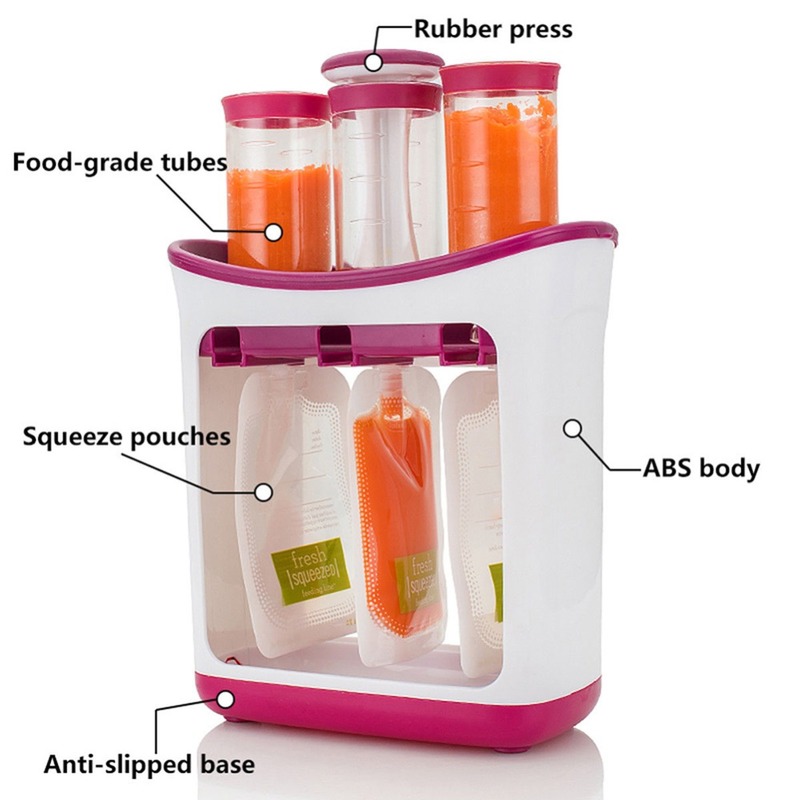 The non-skid base stays secure on your counter and the soft press ensures a stable grip. 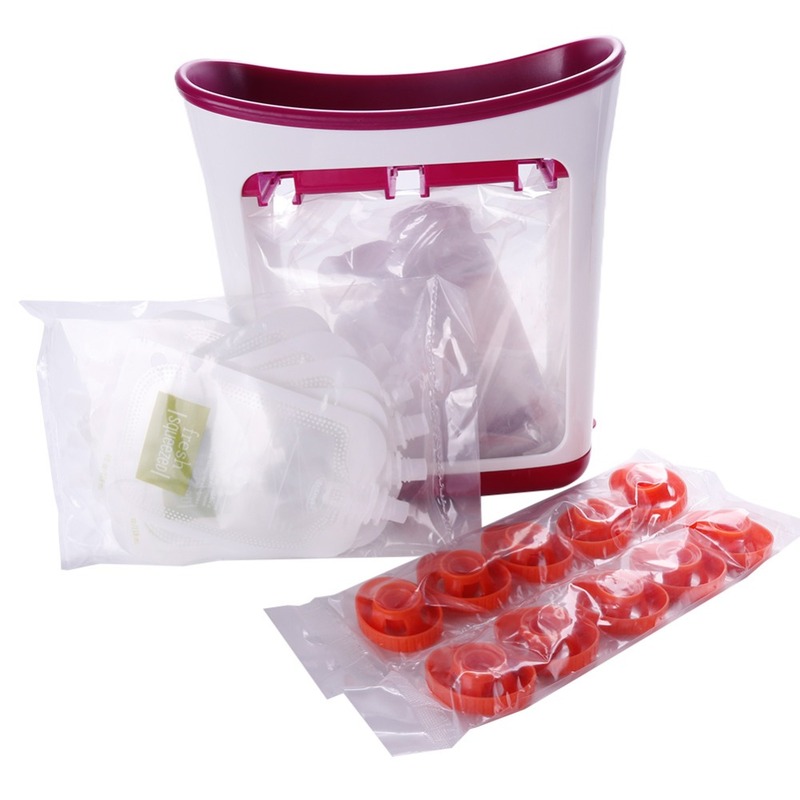 Plus, the station is dishwasher safe, so clean up is a snap. 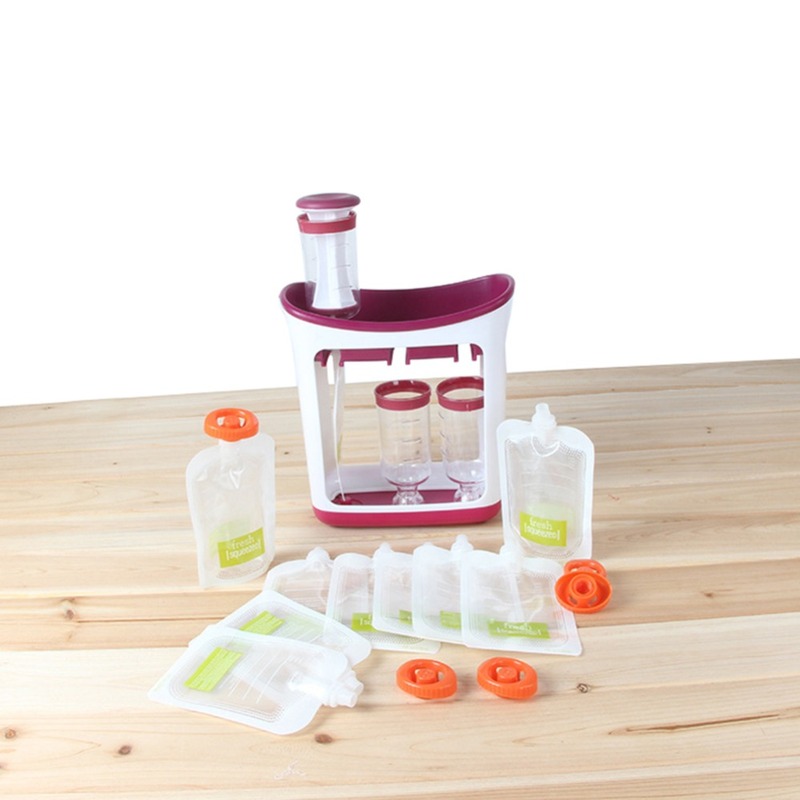 Includes 10 Squeeze Pouches™ and is compatible with any pouch in The Fresh Squeezed system. 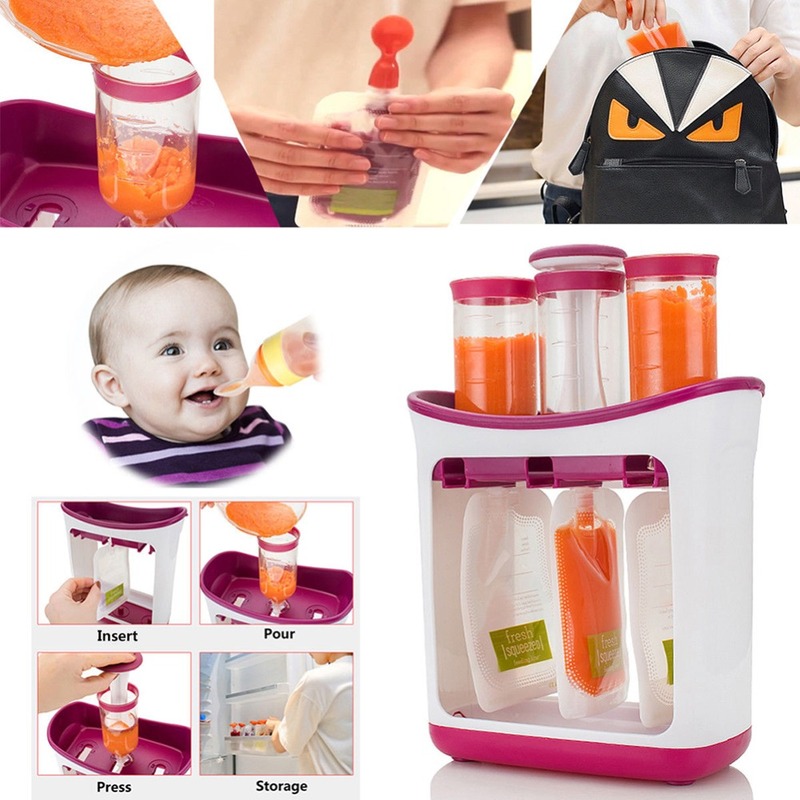 BPA, PVC and phthalate free.